The ribbon is sewn into light blue nylon webbing in the photos BUT please message me if you want light blue for yours, as I am currently low on that and am using a black (not visible when the dog is wearing the collar). 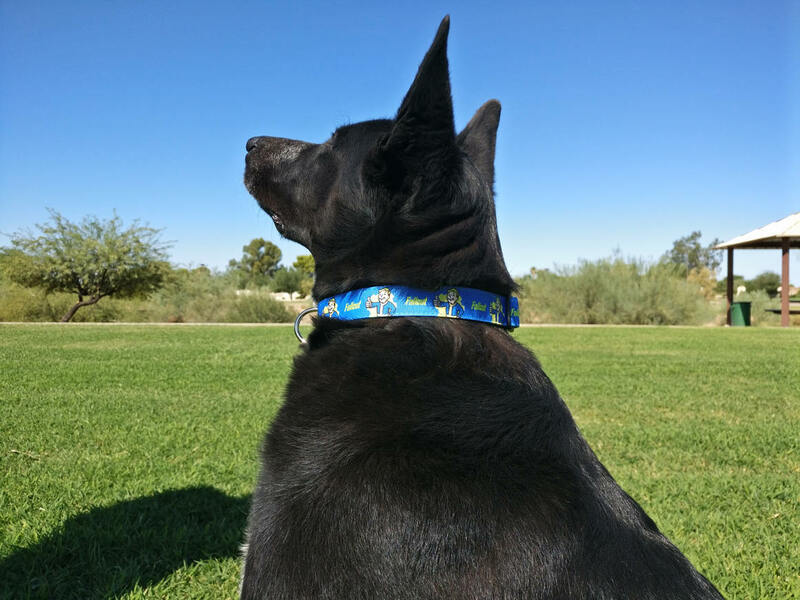 This adjustable collar is made with side release buckles, and a solid metal ring for attaching tags and leashes. These are sturdy fashion collars, perfect for walking even the strongest pullers, training classes, cosplay outings, and any other time you need a collar to attach a leash to. 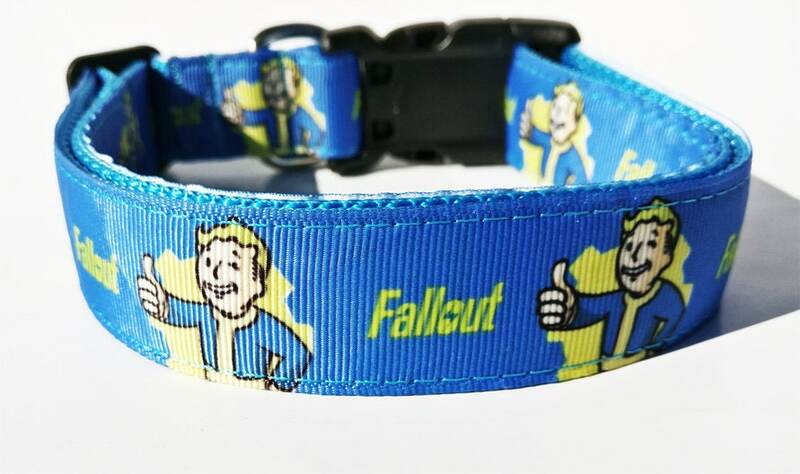 I managed to get one of the Fallout Vault Boy collars, and I love it! It's a good quality collar, and the ribbon with the pattern looks awesome. I paid extra for shipping to get it before adopting my dog, and it arrived promptly and was packaged well. Very happy with my purchase. Well made and shipped fast. Looks wonderful on my pup. I love it!! 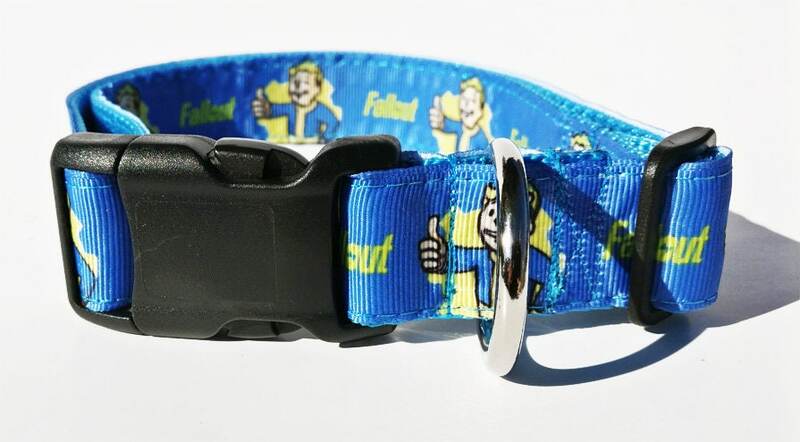 I've been looking for a fallout themed collar or tag for my dog, Atom, since before I even had him. Thank you for making this!! Love this collar. Fits my little boy perfectly.